This wouldn’t be the first time I’ve seen an R2-D2 vacuum cleaner. However, I can say with confidence that it’s the most compact dirt-sucking maintenance droid I’ve seen. It’s the next best cleaning droid to WALL-E himself. 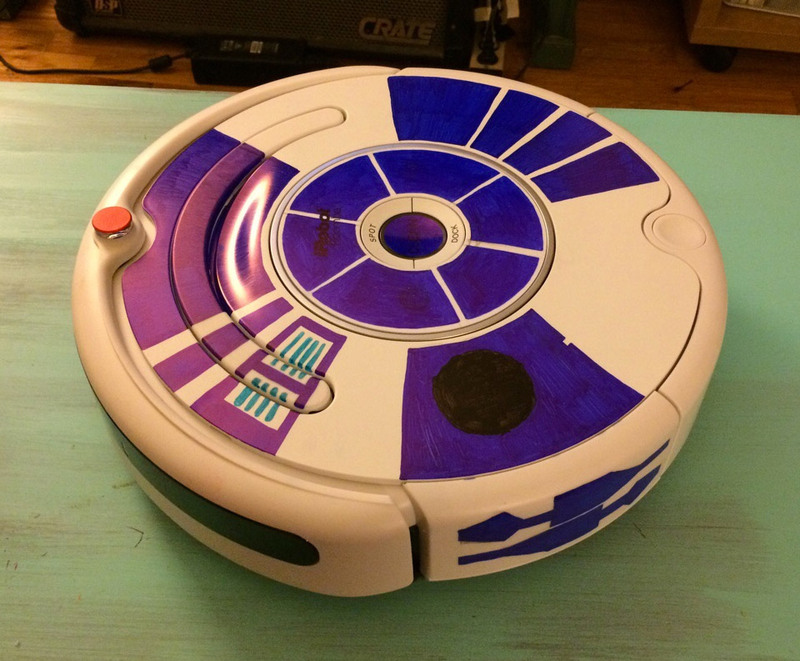 The guy behind this R2-D2 vacuum says he received an old Roomba as a gift, and decided to embellish it with R2’s iconic white and blue paint job to give it a little more personality. I think that the Roomba guys should start offering skins and accessories for their vacuums, done up to look like famous movie robots. Personally, I’d want a Robby the Robot Roomba, and a Johnny 5 Scooba.